I am sure without doubt everyone can guess that my FOREO beauty products are my all-time favourite products. I am just obsessed with them and I cannot get enough of them. I have used at least one FOREO product every single day since I got them. My FOREO Luna Mini 2* is my most used FOREO product. I doubt if I can ever be satisfied with just using my hands to wash my face because I don't think my skin will be clean enough. My FOREO Luna Mini 2 gets rid of all the dirt, grime, makeup and works well with any cleanser I pair it with. I usually still travel with the FOREO Luna Mini 2 but sometimes I opt to go with my Luna Play which I adore. It's the cutest gadget ever and I don't use it often only because I don't want the battery to run out (it's not rechargeable). The FOREO Iris Eye Massager* is one product I use to ensure my eye creams and serums go a longer way. I don't use it everyday but whenever I use it, my eye area feels so much better. I also use it for my spa night because it feels like a little relaxing facial. Lastly, I bring out my Luna Exclusive* when I want to give my face a proper pamper as it has an anti-ageing side which can be used with moisturisers, serums, etc. to help them get better absorbed or just for a quick massage. FOREO products are really good investments and they go a long way in helping the skin. I am very picky when it comes to eye makeup removers because I wear contact lenses/glasses and my eyes are sensitive. I also love eye makeup because I can get creative with different looks and that's why a good eye makeup remover is important for me. I always look out for eye makeup removers that remove both waterproof and non-waterproof eye makeup which are non-greasy, no residue, no panda eyes and non-irritant. Two products that stood out for me in 2017 were the My Skin Matters Bi-Phase Eye Makeup Remover* (from Sainsbury's--> I know right?!!) and the La Roche Posay Respectissime Waterproof Eye Makeup Remover*. They tick all the above boxes and are very affordable. 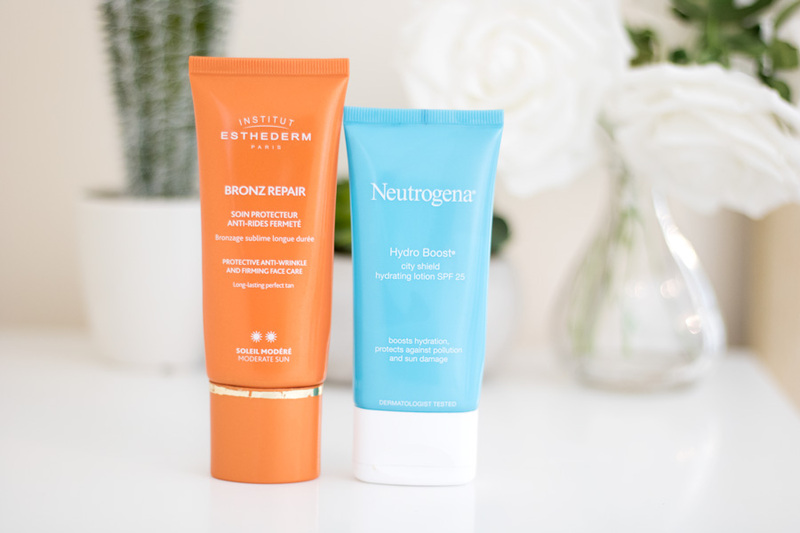 They are already on the repurchase list and I highly recommend checking them out. It was very difficult for me to narrow down on my absolute favourite cleanser because I have quite a few which I loved through the year. However, I was strict and decided to pick just two- one budget friendly and one expensive one (but great value). My absolute favourite cleanser for 2017 is *drum rolls* none other than the Murad AHA/BHA Exfoliating Cleanser*. I have used it consistently since I received it and I cannot get over how effective it is. It contains glycolic acid, lactic acid and saliycylic acid which work wonders in revitalising the skin. My skin always feels fresh and smooth after use and the results are well sustained. 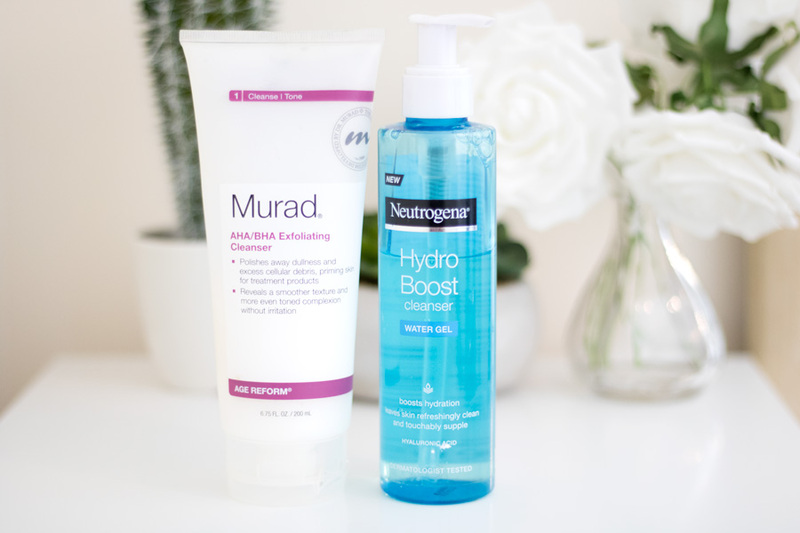 My second favourite cleanser is the Neutrogena Hydro Boost Water Gel Cleanser* which I adore because it ticks all the boxes for me when it comes to a cleanser. It keeps my skin clean, lathers well, non-stripping and comes in a great packaging. For toners, I did not have a tough time choosing a favourite one because it was just staring at me on my dresser. My all time favourite toner (although it is called an exfoliating lotions) is the Biologique Rechecher Lotion P50. It is incredible at keeping my skin in optimum condition. 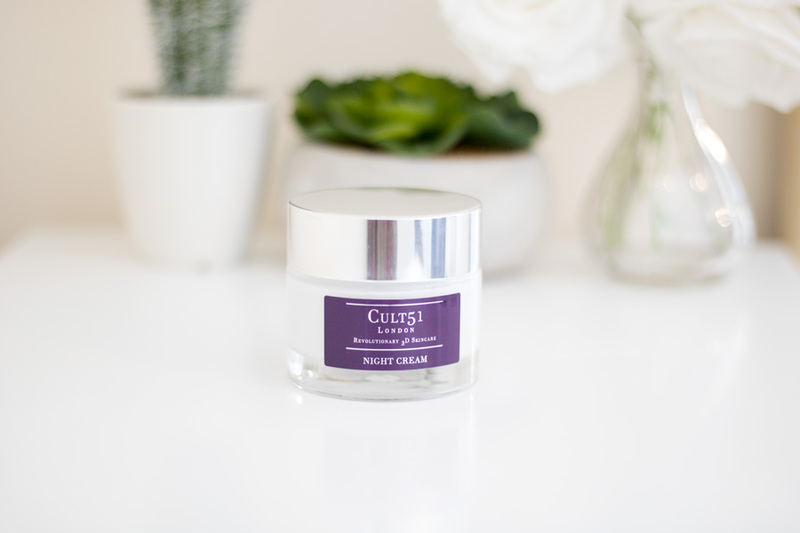 It is packed full of skin loving ingredients especially AHAs which my skin responds well to. 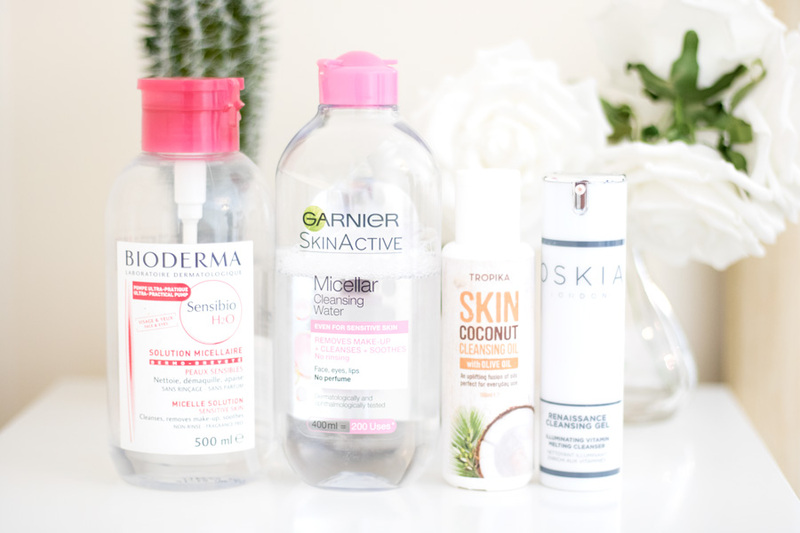 There are two other toners that impressed me this year and are worth mentioning. They both contain Glycolic Acid but they work differently for me which is why I could not chose one. 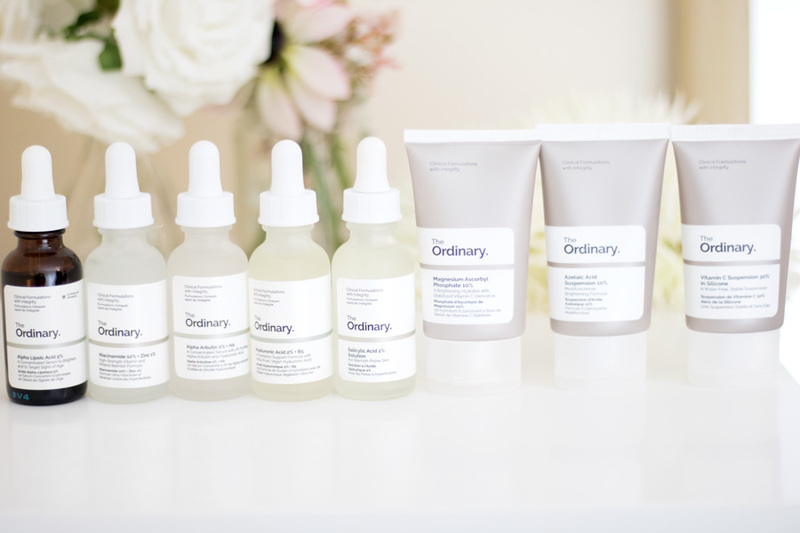 The first is the The Ordinary Glycolic Acid 7% Toning Solution which I am so glad I finally got my hands on. I am currently using it and I love it because it contains a slightly higher glycolic acid content (7%) which has been really good to my skin. Sometimes it feels slightly stinging on my skin but I love how well it works. 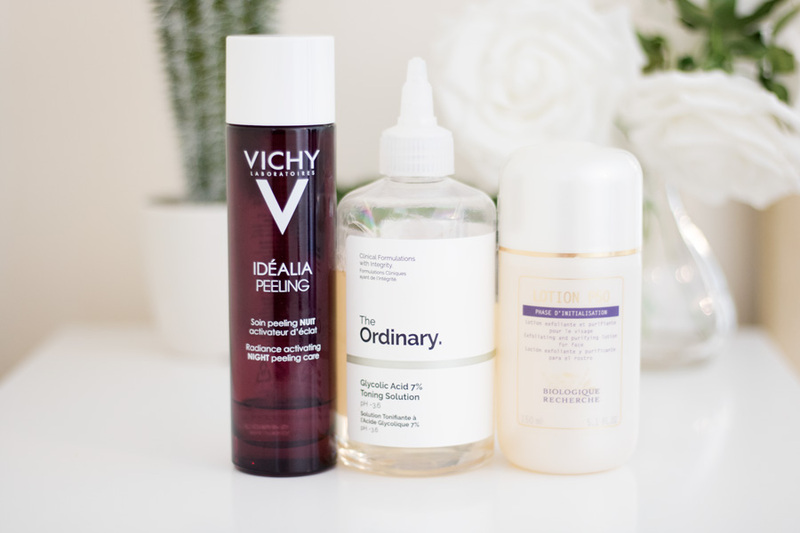 When my skin is feeling sensitive but I still want to continue dealing with my hyper pigmentation issues, I opt for the Vichy Idealia Skin Peeling*. I know the name sounds scary but it is one of the gentlest and most effective glycolic acid products I own. It really exfoliates the skin and I believe it will be suitable for anyone who has sensitive skin. Other Holy Grail products worth mentioning are the Pixi Glow Tonic (will always love it) and the Alpha H Liquid Gold as they are very effective and I featured them in my previous yearly favourites. I always feel like eye creams work the same but I tried out quite a few this year and I was able to come up with a checklist. I prefer eye creams which are lightweight, hydrating, quickly absorbed and refreshing. My favourite eye cream/serum has to be Lancome Advanced Genifique Yeux Light Pearl which does all the above including being housed in a gorgeous bottle. I also noticed the appearance of my laugh lines are getting less visible with consistent use. Another Eye Cream/Serum I loved in 2017 is the Jurlique Herbal Recovery Advanced Eye Serum* It feels slightly silkier than the Lancome one and it sinks in really easily. 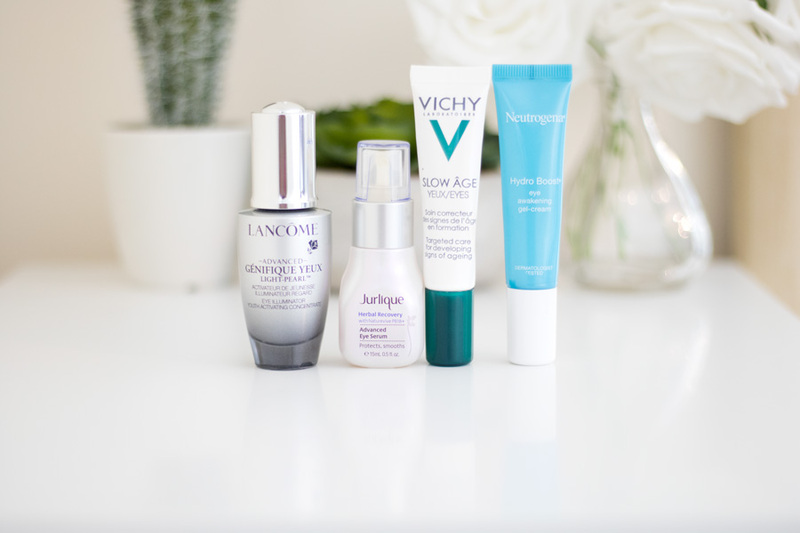 Two budget friendly ones I loved in 2017 were the Vichy Slow Age Eye Cream* and the Neutrogena Hydroboost Eye Awakening Gel. I used both of them at different times of the year and they were marvelous. I think I reached more for the Neutrogena Hydroboost one through the end of 2017 and it quickly became my favourite. The texture is gel-like but very refreshing and it really helped my tired under eyes look better. Now this is the category I knew I will struggle with because I love serums that pack a punch. Naturally, serums are meant to do that because they are designed to contain a high concentration of active ingredients that get absorbed and deliver skin benefits. I have different serums for different uses but right now I am concentrating on getting rid of all my hyper pigmentation so I am leaning towards those with such skin benefits. Based on that, my favourite serum has to be the Biologique Recherche Placenta Serum. Together with the BR Lotion P50, I have seen a tangible difference in my skin. I took a little break to try out other skincare products but I am already back to the BR products. My other all time favourite serum has to be the Lancome Advanced Genifique Serum because it is hydrating, balancing, smoothing and helps with skin renewal. 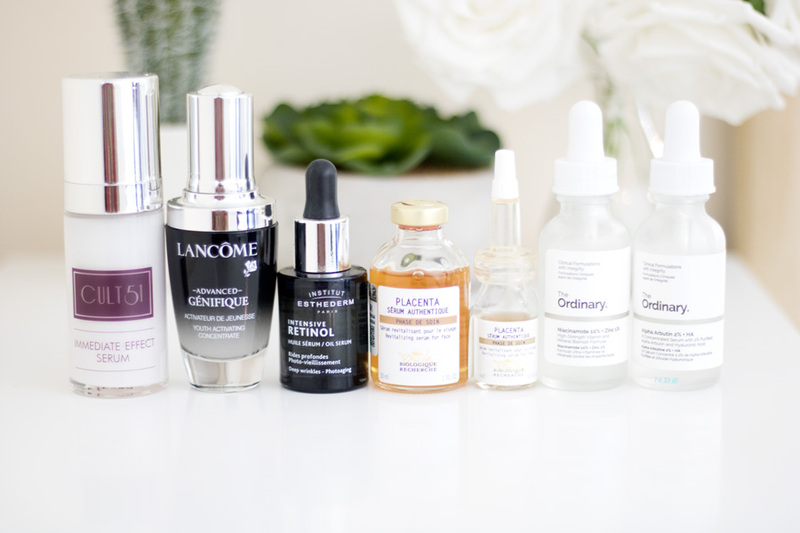 Other serums worth mentioning including the Jurlique Herbal Recovery Advanced Serum*, The Ordinary Serums (Alpha Arbutin, Niacinamide and Alpha Lipoic Concentrate), CULT 51 Immediate Effect Serum* and the Institut Esthederm Intensive Retinol 2% Oil Serum*. I will talk a little bit more about my other serums in another post because I think they deserve a standalone post. This was an easy category for me because these day creams stood out for me the entire year. The first is the CULT 51 Day Cream which I am obsessed with. It does everything you want in a moisturiser and more and my skin is always on its best behaviour whenever I stick to it. 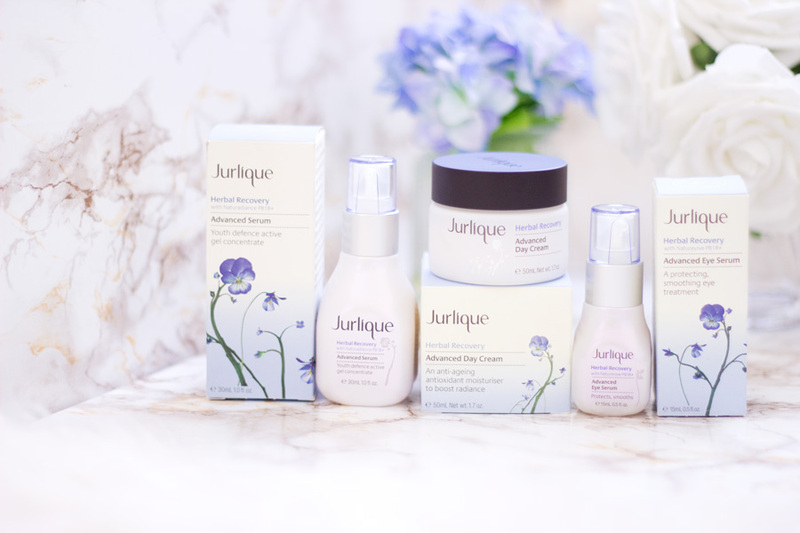 Other moisturisers I loved in 2017 were the Jurlique Herbal Recovery Advanced Day Cream*, Vichy Slow Age*, Murad City Skin Overnight Detox Moisturiser* and the Neutrogena Hydroboost Water Gel Moisturiser*. They are hydrating, smoothing, refreshing and don't interfere with my makeup. They are perfect for many skin types (mine is combination oily & dehydrated) and they don't feel greasy at all which is a winning solution in my books. 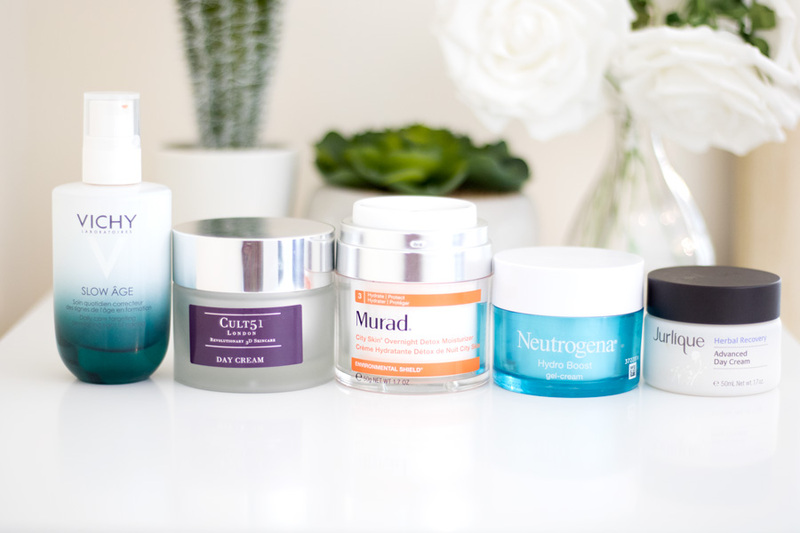 For night creams, it was really easy to narrow down my choices because I only loved a few. 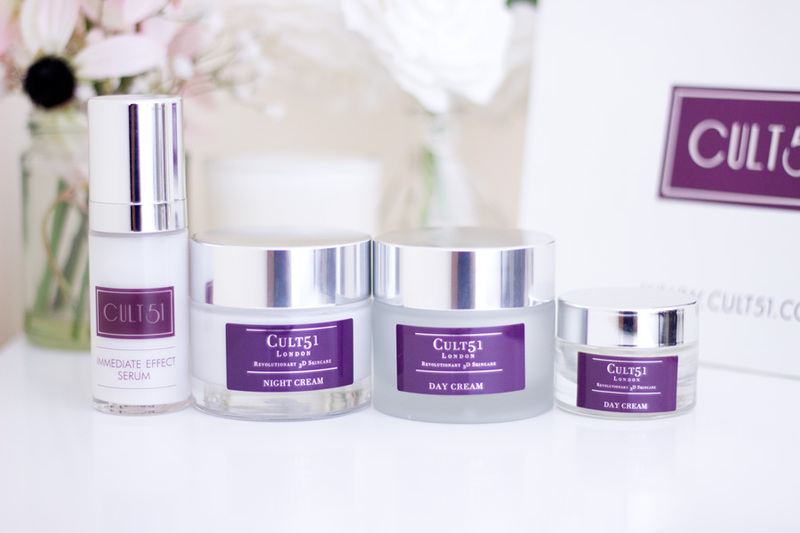 Topping my list has to be the CULT 51 Night Cream* which I am still obsessed with. It is hydrating, smoothing, refreshing and gives a great glow especially the next morning. I can't fault this night cream except that it comes at a hefty price. If you keep an eye out on their social media channels you can hear about offers/deals. They also have mini sizes which is a good way to try out the brand. 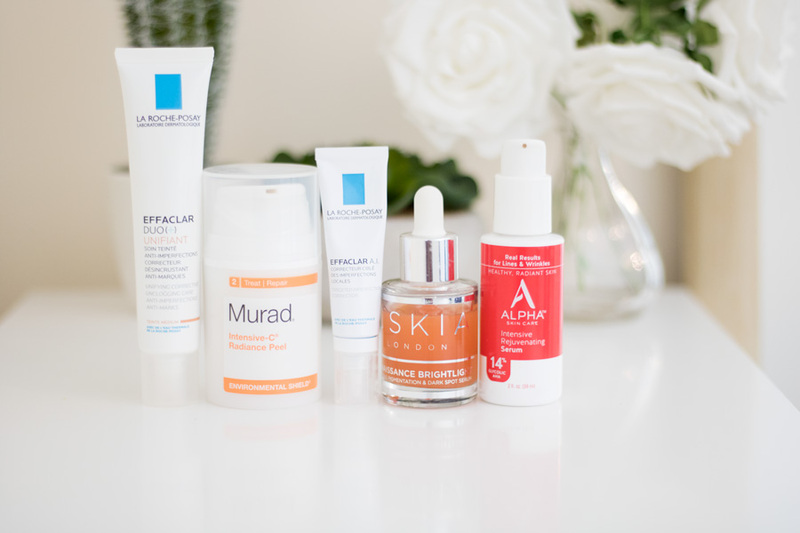 For many years, the La Roche Posay Anthelios Sunscreen XL has been featured in my yearly favourites and it still remains one of my top sunscreens. In 2017, I decided to give other sunscreens a chance and a few impressed me and some have even become favourites. Top of my list is the Institut Esthederm Bronze Repair*. I love everything about this sunscreen from the design of the packaging down to how well it works. It is non-greasy, easily absorbed and I know it protects my skin because my dark spots don't get any darker (this happens if I don't wear sunscreen mainly because I use a lot of skincare products that make the skin photosensitive such as AHAs, Vitamin C and Retinol). Another sunscreen worth mentioning is the Neutrogena Hydroboost Hydrating Lotion with SPF 25* which I am surprised about. I have been using it more towards the end of the year and I still find myself reaching for it even till now. I think it is such a great budget option for a sunscreen as it is hydrating, does not give off a whitish/bluish cast and works well to protect the skin. I feel like I could write a whole book regarding dealing with hyper pigmentation issues and I know I am not alone on this subject. I have tried many skin care products and I am making progress which is being documented. Of course, I will be sharing all my experience when I arrive at the results I am aiming for. One of the products which has impressed me in this regard is the Biologique Rechercher Serum Placenta. I just finished all my tiny samples and now I am moving onto the bottle I purchased back in October. For breakouts (which I am getting less of now - thank God for that), I always turn to La Roche Posay Effaclar Duo* and Effaclar A.I. Targeted Breakout Corrector. They always work for me and I have used them for many years now without fail. 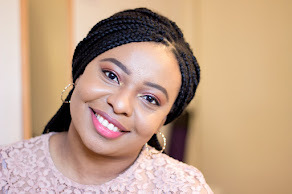 They are my HG products and have been featured countless times on this blog an even yearly favourites. For helping with hyper pigmentation, I still love the Alpha Intensive Rejuvenating Serum which contains 14% Glycolic Acid. This is not for the fainthearted but it works really well. The only snag is that it is sold only in the US but it is very affordable. The Oskia Renaissance Bright Light Serum was a recent purchase but I enjoyed it. I loved it mainly for the extra radiance it gave my skin. 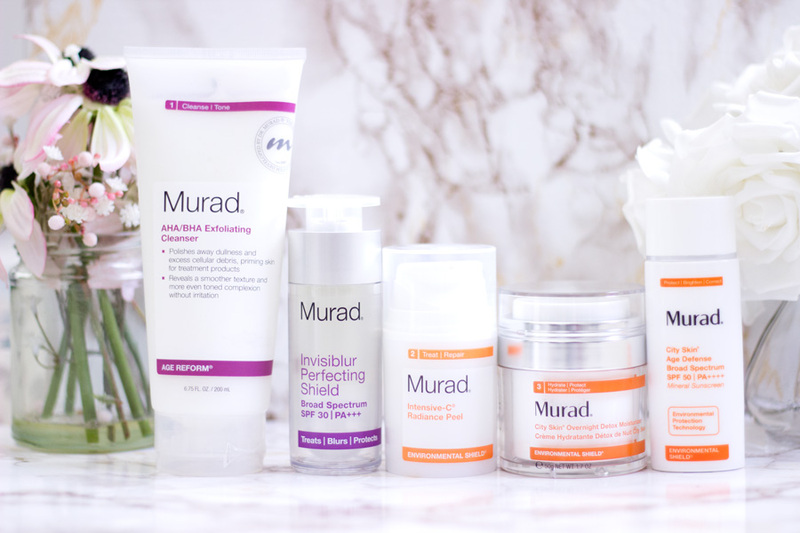 Lastly, I loved my Murad Intensive C Radiance Peel* which I saved for when my skin was playing up. It works wonders and provides immediate results (super radiance and fresher skin). I just wanted to give a mighty shout out to some skincare brands I tried out in 2017. 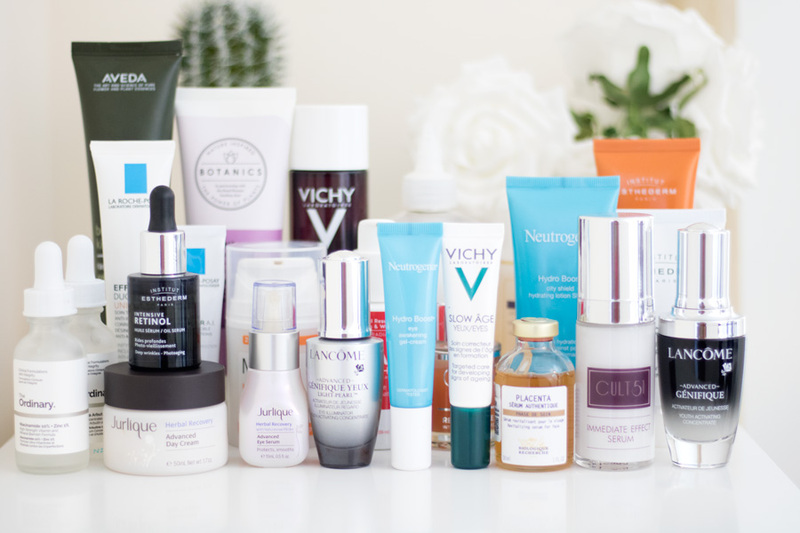 I dedicated time (at least a month) to try out these brands exclusively to see how well they worked and they blew me away. Some of these brands include CULT 51, Murad Skincare, Biologique Recherche, Neutrogena Hydroboost, Jurlique and The Ordinary. I am not always a one brand skincare type of girl but I sometimes think there are merits to sticking to one brand at a time. I really enjoyed and still enjoying these products. If you made it to the end, a massive thank you for doing so. I hope you enjoyed this post and do keep an eye out for my Best in Beauty 2017 Makeup Edition coming soon once I get around to editing my photos. It will be a long post because I loved a lot of makeup products. What was your one favourite Beauty Product in 2017? *PR Sample + Affiliate links used, read my full disclaimer here.